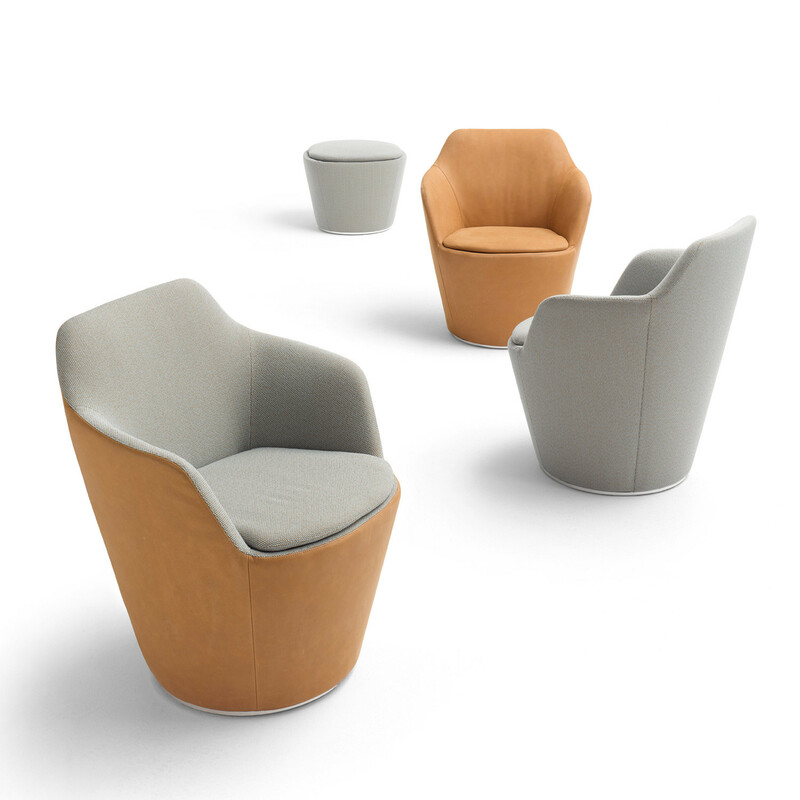 When it comes to snugness, Flint Easy Chair is like the most delicate and beautiful of flowers. Its body unfolds like a calyx and is made from one single piece. How is that achieved you might think? Imagine it as a sculpture: ‘Simply cut out all that is super­fluous’, the designers Jehs and laub of Flint seating furniture, say lightly. 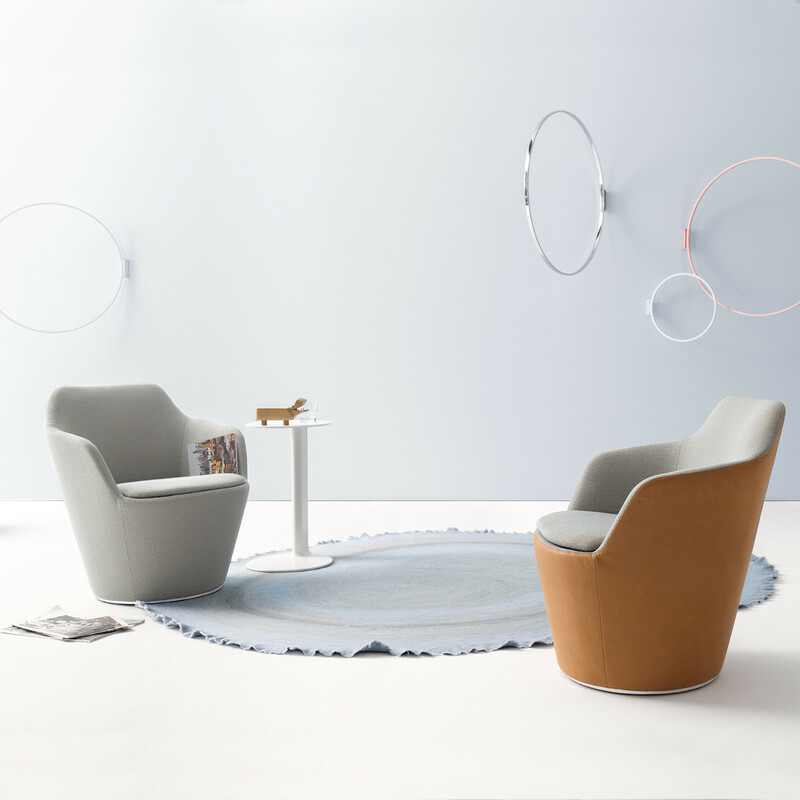 They have created with their design a square of the circle: a circular base — optionally on gliders or a rotating plate — this rises up to the rounded square seat surface and then flows to the high backrest. Craftsmanship that is also so comfortable that it would easily knock you off your stool — if it weren’t so stable. You are requesting a price for the "Flint Easy Chair"
To create a new project and add "Flint Easy Chair" to it please click the button below. 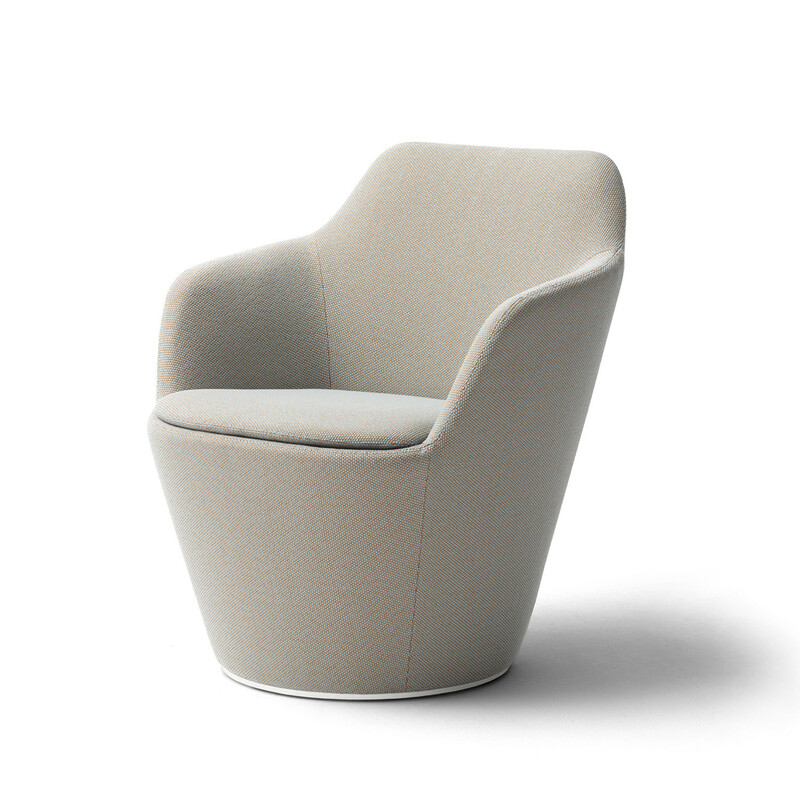 To add "Flint Easy Chair" to an existing project please select below.